Home safety and the elderly is a high priority for us. Jay does full-time home care for a senior friend of his. Glenda does part-time home health care for another elderly friend. You must keep caution in mind when maintaining things in and around your home. We are aware that the elderly can lose their balance easily. They sometimes need a little more help than they would like to admit. We are always concerned about home safety and the elderly. We would all want to stay in our homes as long as possible as we get older. The number one thing that seniors are at risk for… is falling down. We have learned to make sure that there are no throw rugs to slip out from under fragile feet. Pathways are kept clear and there should be handrails for any stairs or steps. Bones in the elderly are more brittle. A simple fall could put them in a very serious condition. They may then be forced to go into the hospital or a nursing home. Parents of young children know this too well… They know the pain of stepping on a small toy in the dark. Perhaps you have fallen as a result of stepping on that unexpected object. It is also critical to keep shoes or other objects out of the walking pathway of senior adults. It is harder to see where you are going as your eyesight grows dimmer. It is then very important to know if there are any objects to bump into. Having small lights to illuminate the pathway helps to compensate. We will talk more about that below. 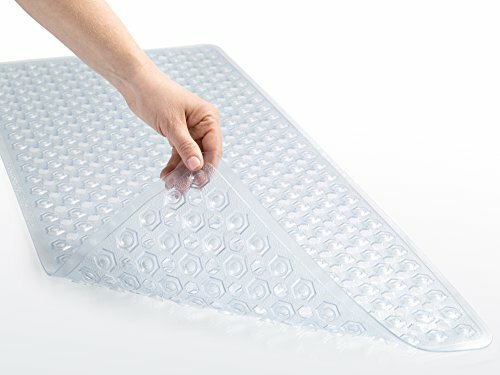 Remove small throw rugs or at least tape them to the floor. Ensure there are no telephone cords, charger cords or drop cords strung out where they can be tripped over. Install grab bars in the bathroom. M and make sure that the tub has a non-slip bath mat or rubber decals to prevent slipping. Get a life alert system if you or your parent is living alone. Someone may have a heart attack or stroke and the simple press of a button can save a life. We will show you some mobility tools that are extremely helpful to have. Long before your elder adult becomes disabled, a mobility tool can help to maintain their precious safety. Making the home safer for seniors involves many things. We are concentrating, in this article, on strategies to help avoid falls. Simple “helper” products will make the difference between living safely alone… And, giving up one’s independence. We will also let you know how we think they can make life a bit safer for the senior adults in our lives. You must evaluate for yourself if your loved one is in need of some of these. Home safety and the elderly is one very important issue to consider and take seriously. We do not have affiliate links in many of the articles we write for you. However, this article does contain affiliate links. That simply means that if you should find an item helpful to you and you click through and purchase from the merchant… We will then be paid a very small commission. If that is the case, we simply thank you for helping to support this site. A simple cane can be very handy for balance. It is one of the first tools that may be needed as someone gets a bit older. When you have one like this, you will feel like you have a really cool and helpful gadget. This cane is quite versatile and exceptionally practical. It folds so that it can be carried in a large bag and used by both men and women when needed. You can also adjust it to fit the particular height of the user. The cane has a soft padded handle for comfort and is soothing to arthritic hands. There is no possibility of this cane marking any delicate flooring. The tip is made out of an anti-marking rubber tip. A LED flashlight is built into the tip of the handle. It provides safety to find your way ahead in the dark. You can also easily see to put your keys in your car’s door to unlock it in the dark… Just to name a few of the benefits. 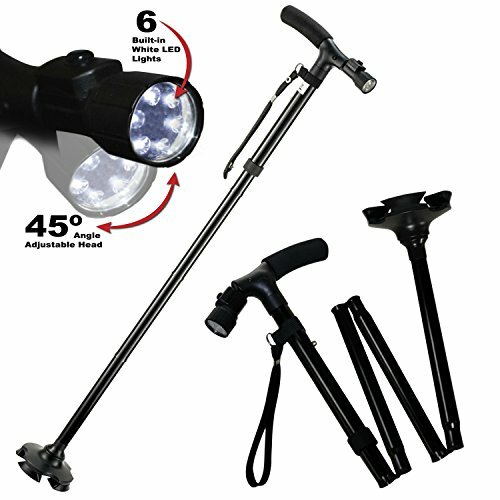 We like the fact that it provides both an aid to balance as well as a handy light for the pathway. 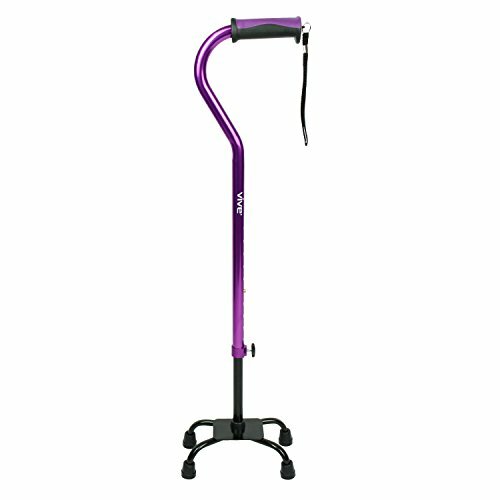 This Adjustable Lightweight Quad Cane is very lightweight, durable, and can support up to 300 pounds. It can be used for both right-handed and left-handed individuals. Ideal for those who are weak or have difficulty holding their balance and need something strong and stable on which to lean. A quad cane has four feet and will stand upright without being held. That means you can have the use of both your hands for something else for a moment. It will be standing there and waiting when you are ready to start walking again. This mobility aid will make life safer for you. Using a reacher tool prevents falls that come from bending over and losing balance. This occurs when trying to pick something up off the floor. You shouldn’t climb up on a chair to reach those things that are too high for you. The elderly face more difficulty when bending over to pick something off the floor or reaching up high to get something. This decreasing ability in many senior citizens or disabled ones makes their lives very frustrating. The Ettore Grip’n Grab 32-Inch Reach Tool will provide a great help. It has a plastic ergonomically designed handle and wide rubber-coated jaws which make it easy to use. 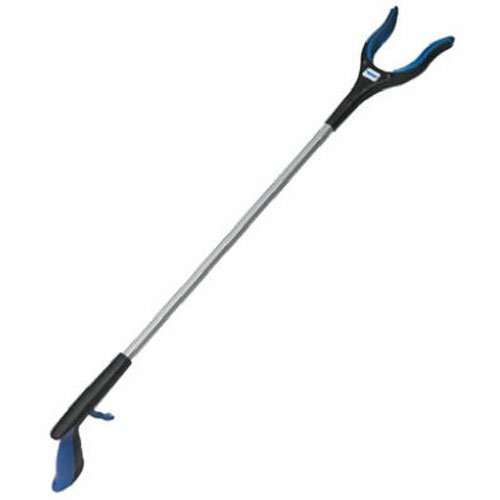 This grabber tool has a sturdy lightweight aluminum arm and provides a reach of 32 inches. You can also get things out of hard-to-get spaces with its 90-degree turning head. Give this tool as a present to yourself or to a loved one. Glenda says that a reacher tool is also simply great for anyone, like her, who happens to be a bit vertically challenged. Should we stand on an old chair to reach something in the kitchen or elsewhere? No! This can be a very dangerous habit and may lead to a dangerous fall. This is especially true for senior citizens. As we get older, we are less flexible and have less strength and balance, it is wise to do some things differently. There comes a point in time when we should ask someone younger to do those things for us. In the meantime, a small kitchen stepladder or stool is much safer than using a chair. (Glenda here) I am not tall enough to reach the dishes on the top shelf of my dish cabinet. My favorite solution for this is a folding two-step steel frame stool with a hand grip like this one from Rubbermaid. I have had mine for years. I keep it handy in the kitchen folded up at the end of the cabinet where I have a 2 or 3-inch space. That way I am not tempted to climb up on a chair which is much riskier. It is more convenient for me to have the kind that I can fold up in order to get it out of the way. However, there are many who because of various reasons, need to have the kind that is always ready to use. The first two we show here are height adjustable to make them just right for the user. The third one is heavy duty and can hold up to 500 pounds. 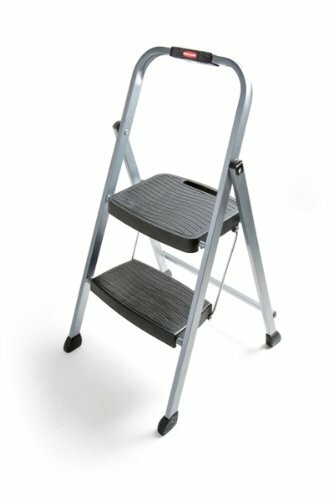 We suggest you get a step ladder stool such as one of these for yourself or your loved one. All the ones shown here are made of sturdy metal. After all, the safety of all your loved ones should be your number one priority. It is also very important to consider another safety item… A bathtub and shower safety grab bar. 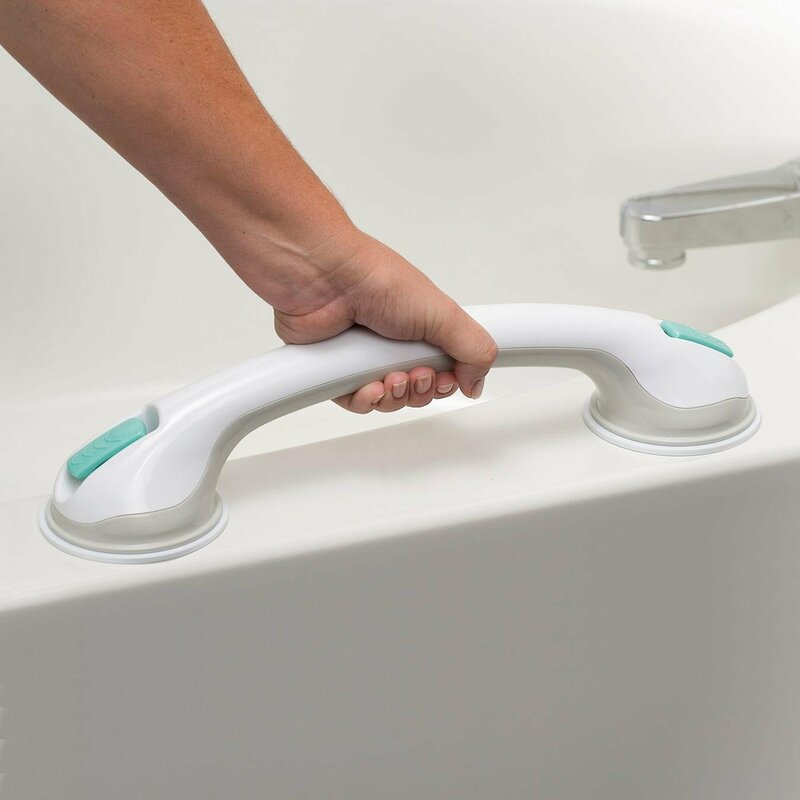 This 17″ Bath & Shower Grip Handle is an excellent safety tool. Ideal for those who may need a little help with balance while getting in and out of the shower. 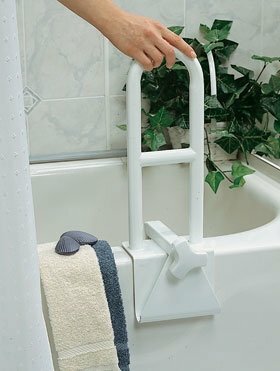 This type of grab bar is attached by suction to the smooth surface of the tub or shower wall. It can be placed where it is most needed and many people will use additional ones at different heights. It is important to note that the suction cup grab bar style is intended for balance only. If you need something to hold your weight, you will need a different style. A metal bar that is anchored to the wall is the sturdiest support. They are not removable and you may want to add a portable one as well. Another kind of firm supporting grab bar is the type that clamps to the bathtub like the Medline Bathtub Bar. Always remember to use a non-slip bath mat as well. It is a very good idea, as we mentioned up above, to have a lighted pathway for your senior family members. We have several items that can help with that. It is dangerous to walk in the dark. It can become a serious safety issue for the elderly and senior citizens. 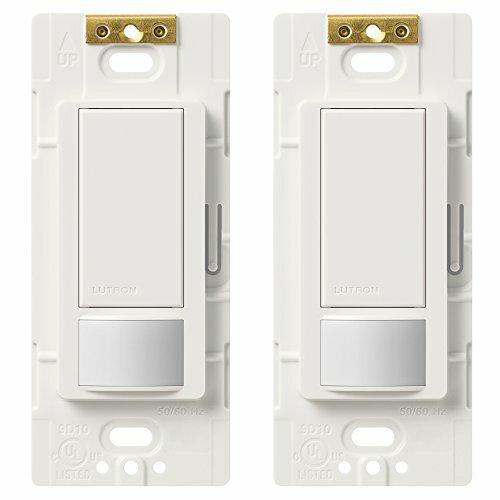 These Lutron’s Motion Sensor Light Switches can automatically turn lights on… As soon as they detect any motion in the room or any other part of the house… If within their sensor range. They can also turn the lights off automatically when they exit that area of the house. This feature helps the elderly be safer as they do not need to search for the light switch. Benefit from a different option… The Stick-Anywhere LED Nightlights can be attached to the home’s switchplates. The LED light will be shining on the floor to reveal the location of the light switch for better visibility. Prevent dangerous falls and serious injuries by considering these safety lights. 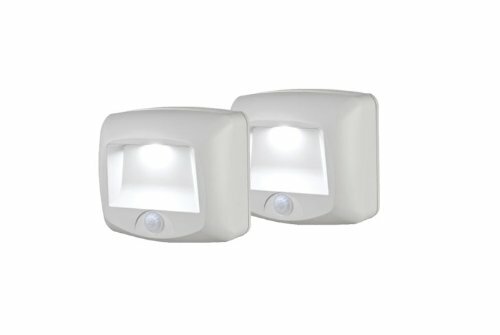 The Indoor & Outdoor Motion Sensor LED Lights are perfect… Use them at the ends of a long hallway or at the top and bottom of a set of stairs. And, another location to have a motion sensor light is on your porch or outdoor walkway. It can provide better visibility and prevention of falls. 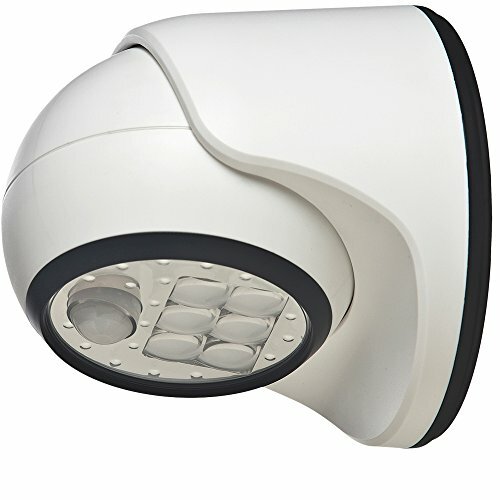 This light is weatherproof and wireless and you can light up any dark corner of the house to the front door. We hope that you have enjoyed reading our home safety measures for the elderly. Many of these items can help you to provide a safer environment no matter what the age. As caregivers, we see the need every day for safety devices that can make life so much easier and safer. Don’t wait until someone you love has already fallen and possibly suffered an injury. Look around now and evaluate what needs to be done. We really love hearing from you. Your comments and sharing of your own experiences are always appreciated.